Jets Quarterback Tim Tebow is not too happy in the Big Apple. It’s getting pretty cold up there and Tebow is not getting the respect or the playing time that he deserves. Time to look around. Tim Tebow is still a very marketable commodity and he will land a starting quarterback spot somewhere. Florida is probably the most likely destination for Tim…..and that’s a good idea. He is a local hero down there and everyone loves him. So what if his passing technique is a little unusual? It’s really a no brainer…..a win-win situation all round. Let’s not forget that while at the University of Florida Tebow won National Championships, was on 3 All American teams and won the Heisman Trophy and Quarterback of the Year in 2007. How could a guy who can’t pass a football have accomplished all of that? We have all seen Tebow play. He is a bit unorthodox I will grant you but isn’t there room for a bit of that in the NFL? It’s nice to see a bit of unusual action on the field now and then. If all quarterbacks did everything exactly alike, it would be a pretty boring game after a while. 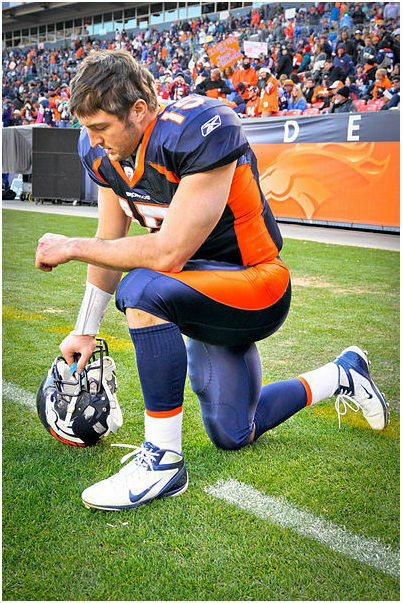 The Jacksonville Jaguars are said to be interested in acquiring the services of Tim Tebow. On the surface that would seem to be a logical move. The Jaguars have one of the worst records in the NFL for 2012 and also hold the dubious honor of being the league’s most financially beleaguered franchise. They need a big name player like Tim Tebow and his presence on the field will sell tickets in Jacksonville and that’s a fact. Let’s just hope that Tebow and the Jaguars does not turn into a three ring circus. Ringling headquarters are nearby and the temptation to turn the whole thing into a traveling tent show will be there. After all, football is show business, isn’t it? But, Tebow deserves better than that. In his own words, “I just have a passion to play football. When you do things different than other people sometimes do them, and you don’t settle for just being average, you open yourself up for criticism. But, I’m ready for it. I’ve learned to live with it. I never just wanted to do things the same way everybody else does”.